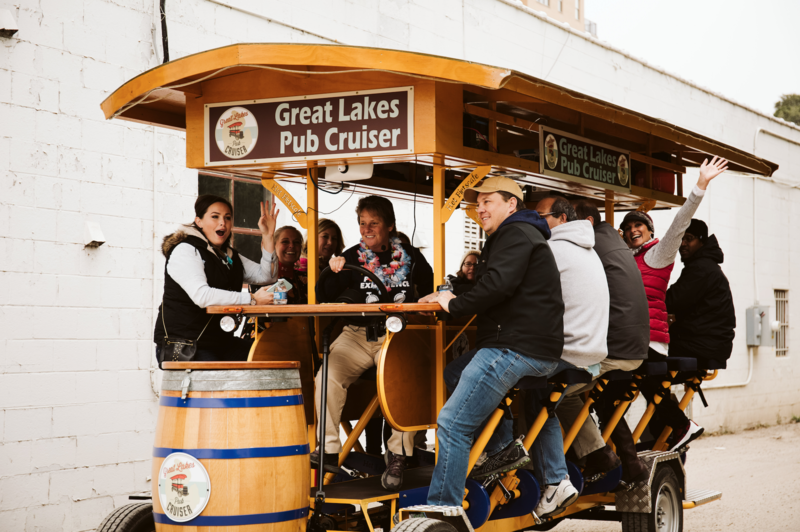 In a 2-hour tour, a group of 16 can get to 2 bars for approximately 30 minutes per stop. 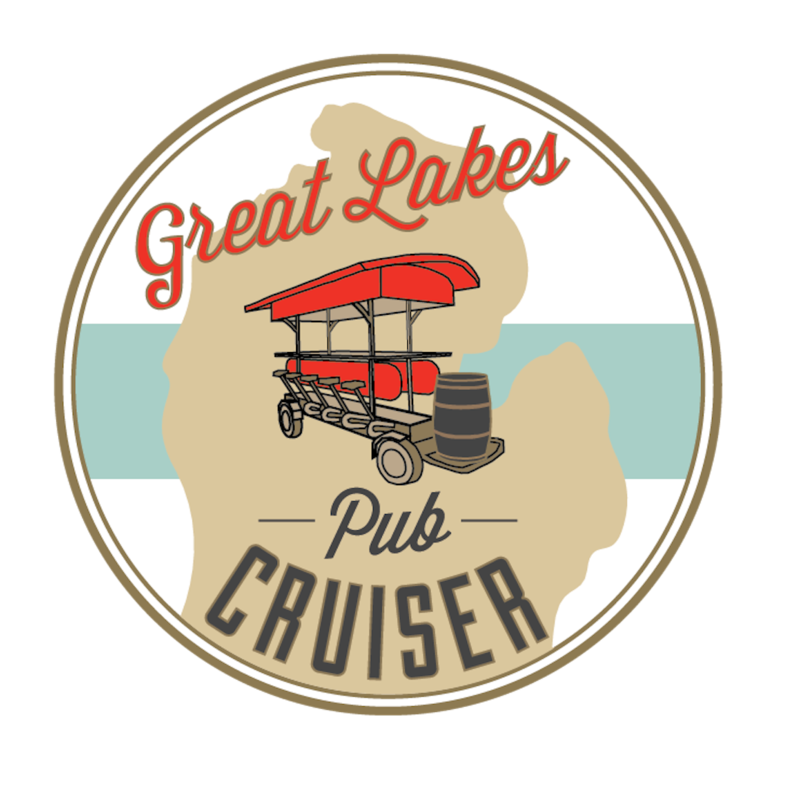 If you want to visit more than 2 stops, we recommend booking the Pub Cruiser for a 2.5 or 3-hour ride. After booking, you will receive a link to a digital waiver. Please complete it before arrival and show the confirmation email to the greeter before your tour. Please note: All riders must be 18 or older and have a valid ID to present upon check in. 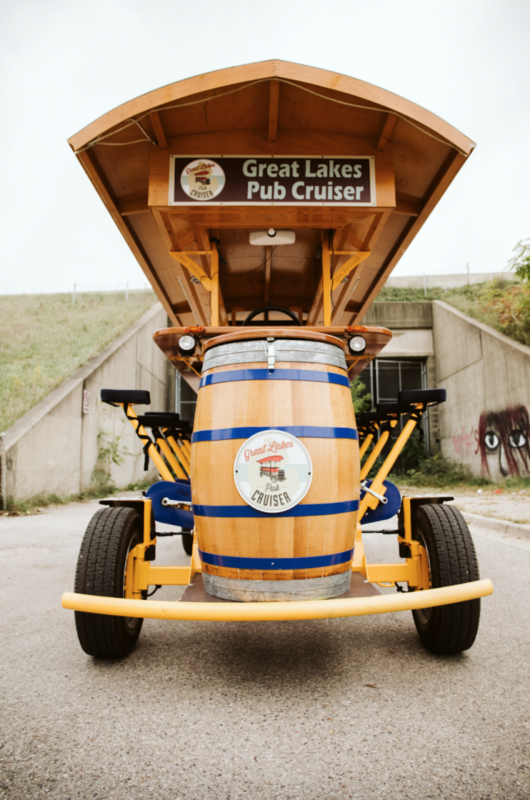 Review the tour routes below and click here to make your reservation! The two bikes are exactly the same but run on different schedules, so make sure to review both to find the best time for your group. 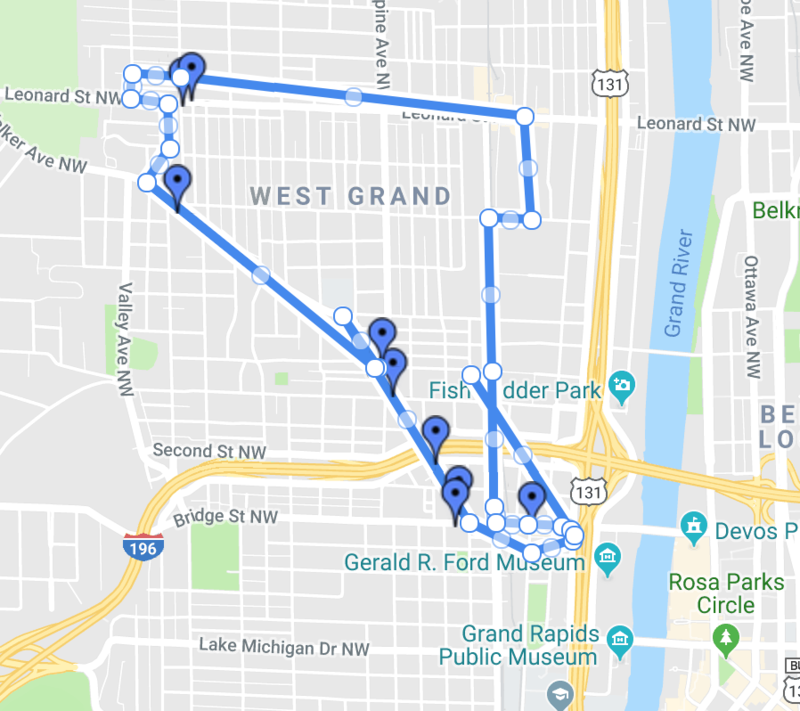 This tour takes in the Heartside Loop and the Ionia Street Corridor of bars. Difficulty: Medium, only slightly difficult on the gradual uphill pedal up Monroe Center. 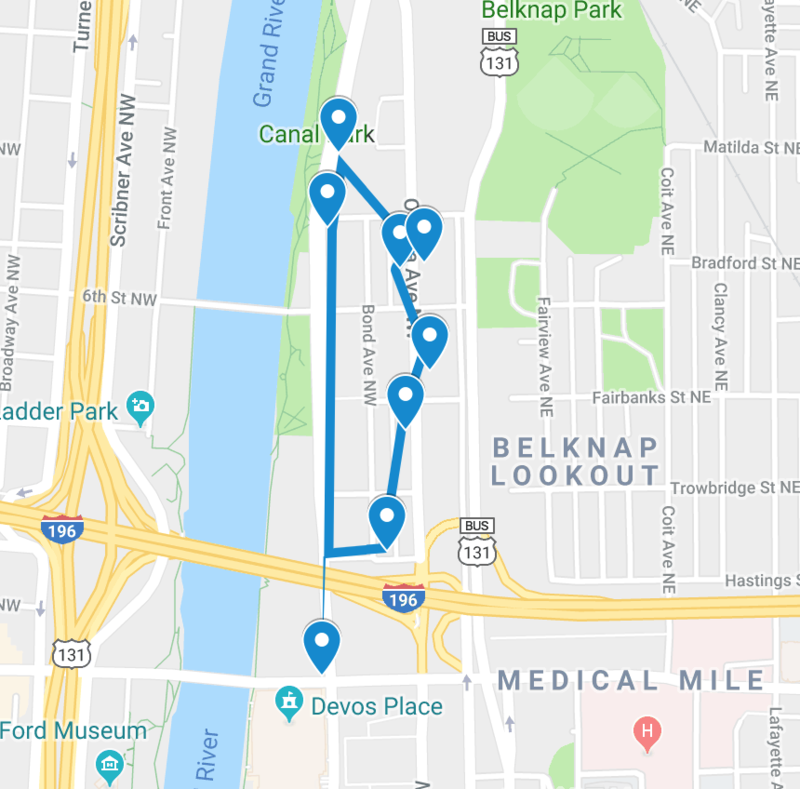 This two-stop tour ONLY runs on Saturday at 11:00 or 11:30 a.m. The Sip and Sample Tour includes appetizers at each of the stops in the $370 price. Potential stops are Cottage Bar, the Grand Woods Lounge, Little Bird, Sundance Grill, Peppino’s, Tavern on the Square, and Brick and Porter. This is a great tour for all, but especially great for a corporate outing or a group that wants something different than just a Pub Crawl. 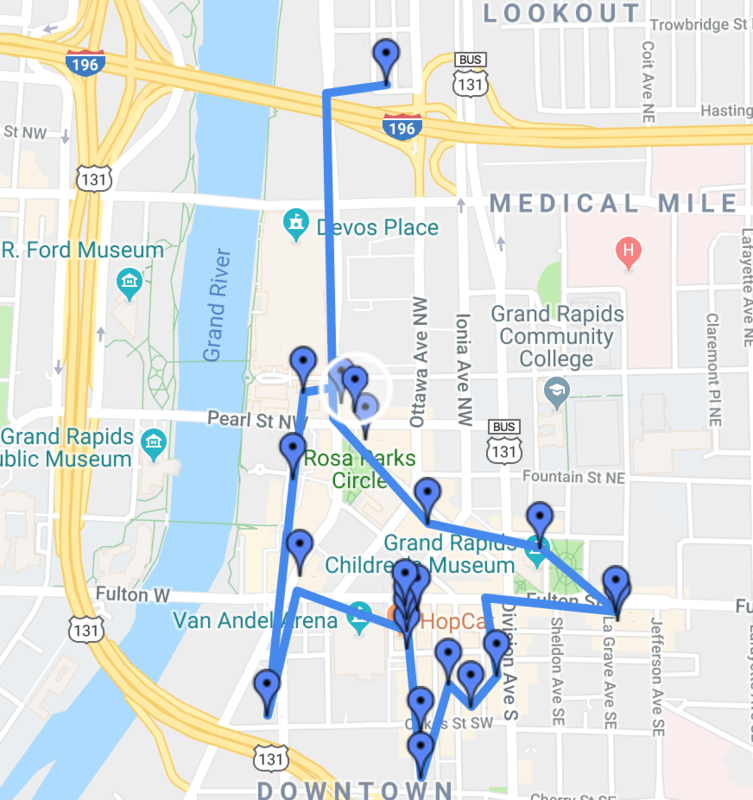 This tour will only make two stops; one can be a food or libation stop along the Ionia Corridor of restaurants and then on to the Downtown Market. Highlights of the market include the homemade ice cream shop, the bake shop, and the cheese, wine and beer establishment – where you can actually drink/sample what you may want to buy at their shop. 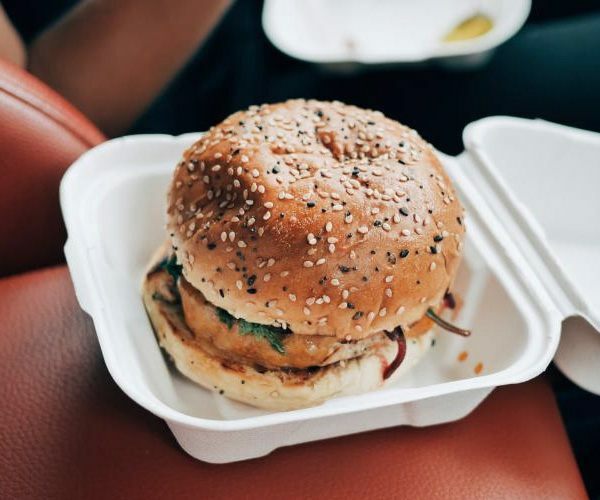 Additionally, there are a few restaurants that offer lunch-type selections. The market stop would be 50 minutes, and the first stop would be 25 minutes. Check out the Downtown Market’s website. This tour can go on any route for 3 hours at the special price of $400. 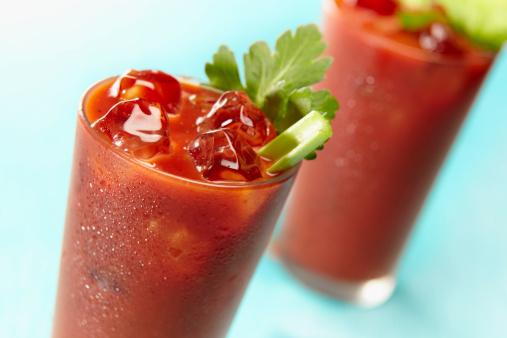 These bars and restaurants are known for their mimosas and Bloody Marys! Join us early in the morning to start your day off right.